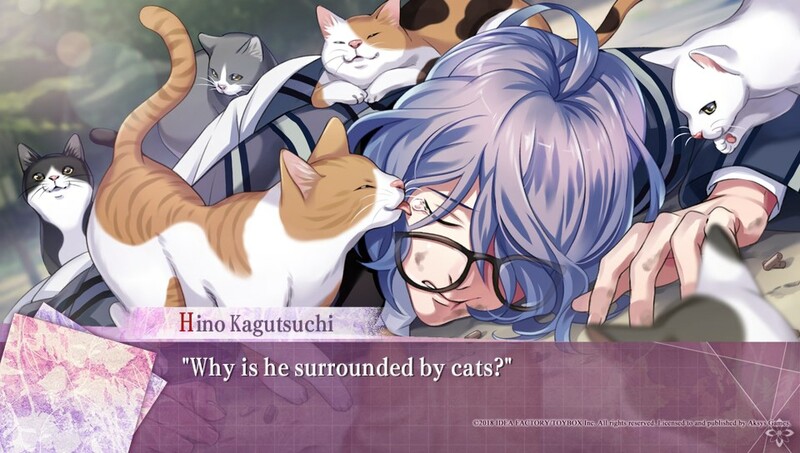 In the opening edition of the column we take a look at a pair of otome games on PlayStation Vita from Aksys Games’ “Summer of Mystery” — Psychedelica of the Black Butterfly and 7’scarlet — and check in on Detective Pikachu‘s investigations on 3DS. Although they’ve been around for a while, otome games have seen a significant rise recently in the west. Primarily geared towards female fans (most with the traditional structure of a main female protagonist teamed up with a group of eligible bachelors), there is plenty of universal appeal to be found in this visual novel subgenre; two particular highlights and easy recommendations are PSP’s Sweet Fuse and the Vita’s Collar x Malice. Idea Factory’s Otomate brand has been a longstanding provider of such titles in Japan, with many recent Japanese releases brought west by Aksys Games. 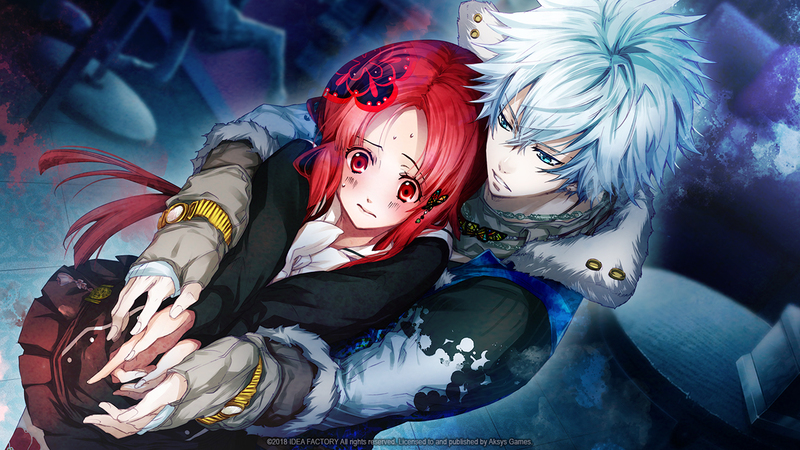 Psychedelica of the Black Butterfly is one of the latest titles to come over, being the first in a trio of otome releases from Aksys this spring and summer. Psychedelica of the Black Butterfly doesn’t earn any points for originality in its opening scene, which features the heroine waking up in an unfamiliar manor with no idea how she got there. Danger quickly appears as the heroine comes across a fearsome beast, but she is saved by a man wearing a fox mask who shoots it, causing the beast to disperse into a collection of black butterflies. While the fox-masked man disappears, the heroine comes across four other men who are in the same situation as her, and the five group up to explore the manor, eventually coming across a set of rooms with kitchen and bedrooms that they adopt as a base. The biggest issue with the story is how the amnesia and mystery of the manor fail to drive the plot forward. The amnesia takes any edge off the characters, and the plot only ends up progressing when the mastermind behind everything decides to selectively undo it. Prior to that point all of the event scenes feel arbitrary and disconnected. Main protagonist Beniyuri (the characters end up picking names based on those listed on the doors to their rooms) also falls into one of the major pitfalls otome titles are prone to: not being permitted to do much herself other than simply act as an emotional crutch to others. The way the game manages to tie the characters together at the end, however, works very well, and it does make for a satisfying experience overall. There is no real answer to the actual mystery regarding the manor as it gets hand-waved away in what is considered the “true ending” — it may come up in one of the hidden endings that I did not reach — but the personal character stories are wrapped up nicely. Psychedelica of the Black Butterfly takes an unusual approach to its routes, with a chapter-style structure that players can freely flip between in a similar manner to the Zero Escape series, though there aren’t any actual time-travel or alternate universe shenanigans in the plot. It also makes it so that the “true ending” is actually the first good ending that players will be able to unlock, with individual character routes available before then certainly not ending in positive manners. The game also tries to inject an extra gameplay element on top of the traditional visual-novel text advancement in the form of a strange shooting mini-game that appears sporadically in the early chapters, before being promptly forgotten about in later ones. The shooting portions don’t add anything, and very quickly become more annoying than anything else, particularly with them being required to unlock sub-events that players need to view to then unlock further progress and endings. This leads nicely into 7’scarlet, the second of Aksys Games’ three “Summer of Mystery” otome releases. Developer Toybox is heavily involved in the creation of this title, which does a much greater job in introducing the intrigue, as well as providing a much more engaging cast and setting. 7’scarlet follows Ichiko Hanamaki, who goes with her classmate and childhood friend Hino to the quiet central Japanese town of Okunezato. A year beforehand Ichiko’s brother disappeared while visiting the town — his reasons for visiting in the first place themselves are shrouded in mystery — and the two set off for a mixture of vacation and investigation. 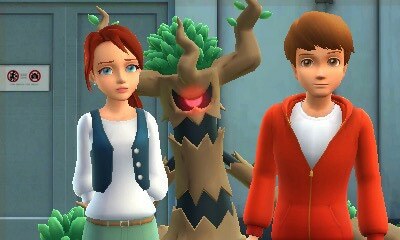 Joining the two are other members of an online club that is interested in certain other mysteries around the town. 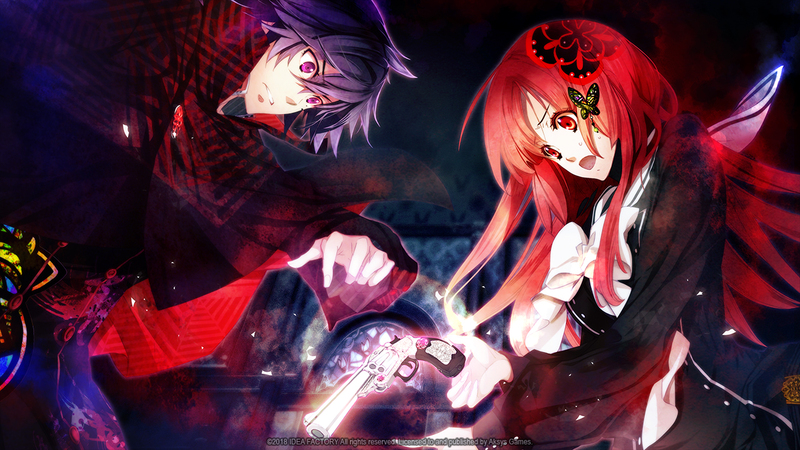 The game more closely follows the standard visual novel structure, lacking any mini-games and using standard route mechanics. There are only two routes available at the start, with additional routes unlocked in order after those first two routes are completed. 7’scarlet is a lot more ordered than other visual novels in terms of the progression of routes, meaning more casual players may just want to stick to a guide, and it appears that the full answers behind the story are not revealed until all available characters’ routes are completed. 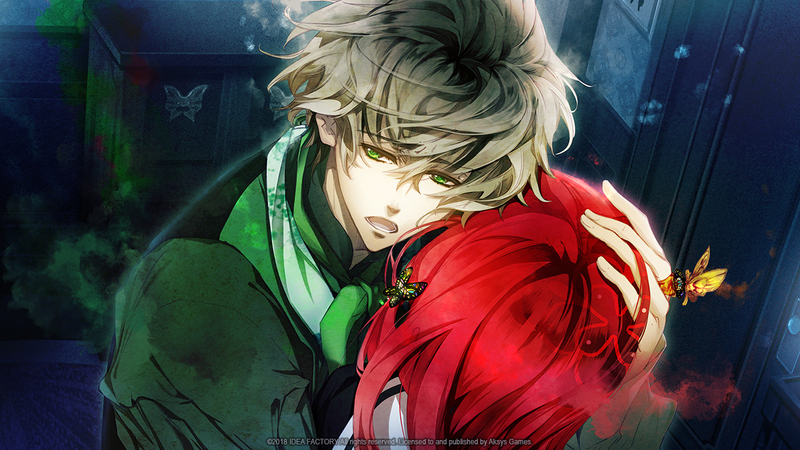 7’scarlet is a bit more focused on building up the romance than Psychedelica of the Black Butterfly, but in this case it works and it still comes as more of a backdrop to the greater mysteries surrounding the town. 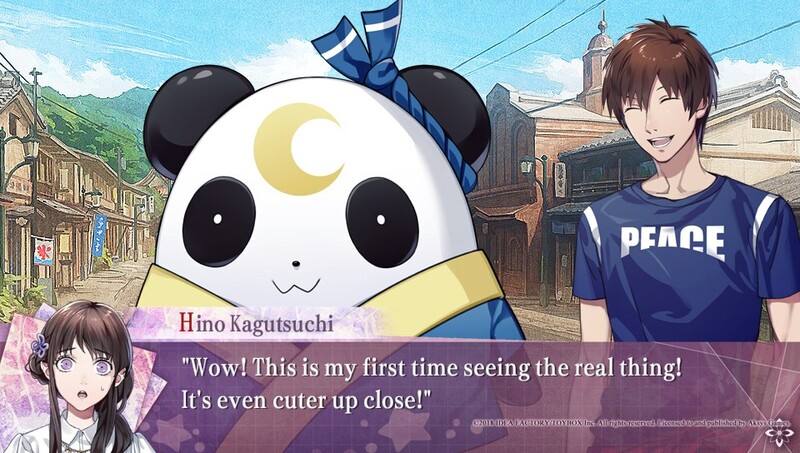 The romances develop well, though there are some problematic aspects to one of them, and all the characters get decent amounts of development and screen time, including those without their own routes. 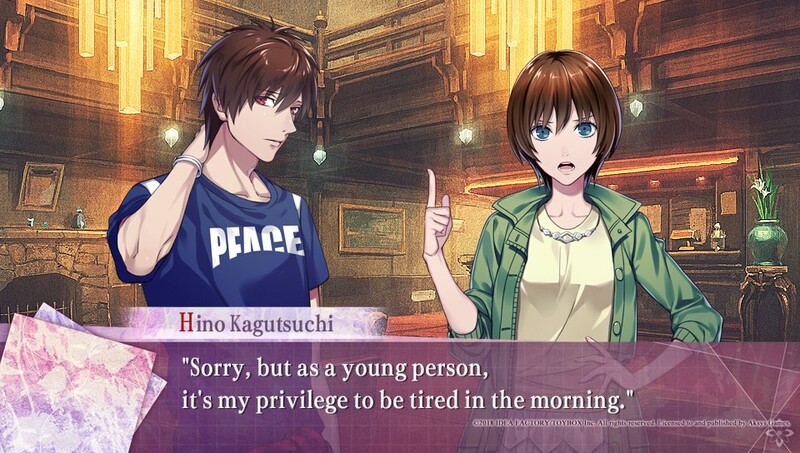 Ichiko is better than Beniyuri is terms of being actively involved in events, but again it follows the theme of the main character not being as involved as she could be. One of the things that helps 7’scarlet is the imagination of its setting. Okunezato is inspired by the real-life town of Karuizawa, but puts its own spin on things, such as its crescent shape. The local characters help provide a sense of history and help establish its status of being in the rural highlands of Nagano, while the painting-styled backgrounds are always very pleasing to behold. The setting allows it to be more of a laid-back tale until the routes reach their apexes — evidenced by the first two days of the investigation club’s visit being solely devoted to social get-togethers — but with the characters and story this works to 7’scarlet’s benefit. Is there any franchise more ripe for possibility than Pokémon? A number of titles have branched off from it, some taking stranger directions than others, but it still feels like there are so many more areas left to explore. The newest attempt to do this has come in the form of the mystery adventure game Detective Pikachu. Is this wildly divergent title — even for a Pokémon spinoff — a new direction for the series or will it end up more of an interesting sidestep to be forgotten about in short order? Detective Pikachu begins with a young man named Tim Goodman arriving in Ryme City in search of his father, a private detective who has been missing for a year. Soon after arriving, Tim bumps into an odd Pikachu that has the ability to talk and comes equipped with an adorable deerstalker cap. Pikachu also has a bad case of amnesia and can’t remember why he knows how to talk, why he can no longer use his battling powers, and what exactly caused his current predicament. Tim and Pikachu decide to work together in order to both figure out Pikachu’s mysterious past and the whereabouts of Tim’s father. This seems an unnecessary amount of preamble for a Pokémon title, but given just how story-driven Detective Pikachu is it feels entirely required. The game is unlike any other Pokémon title that has come before, sharing more in common with point-and-click adventure titles, though the game allows for full 3D movement. 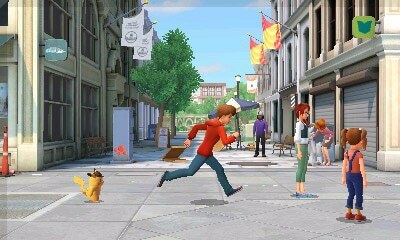 Playing out over ten chapters, accompanied by a short interlude between each, Detective Pikachu sends Tim and Pikachu to a variety of locations where they are presented with mysteries to solve. This is done simply by walking around the environments, interacting with everything and everyone, and eventually the two things that need to be connected together will be done so, progressing the main story. Several times per chapter, Tim will be required to piece together evidence or testimony and either construct a correct theory or present an argument that will solve the particular case of the chapter. These bits play out as a fill-in-the-blank puzzle, but outside of one situation that has seemingly no effect on the plot it is impossible to fail these segments. This is certainly preferable than having to restart the whole chapter and well-suited to the game’s younger demographic, but many of the puzzles fail to be interesting as a result. It doesn’t help that most, if not all, can be successfully completed through brute force merely by mixing the different elements until the solution is found. Not that the game is difficult enough to warrant such methods, and even younger children should be able to complete the game with little to no issue. In fact, it’s more likely players will have the solution figured out while desperately searching for the one thing that wasn’t interacted with in order to progress the story. Most moments of being stuck in the game stem from forgetting that a person hasn’t been talked to fully or a location hasn’t been fully searched. There is also very little at work to break up the monotony of circling the static environments. The only things to even throw a wrench into the gameplay flow are several action scenes that occur during particularly exciting events. At this point, a giant ring appears on the screen and “A” must be pushed at the correct time to succeed. However, like the cases, these bits also cannot be failed, instead humorously repeating the sequence until it is passed. These scenes serve little purpose as they fail to be engaging or interesting, instead offering the most meager reprieve from running around and interacting with static objects and people. The story itself is no great shakes, either. The search for Pikachu’s past and Tim’s father eventually winds up on the back burner in favor of some plot involving a drug that makes Pokémon more violent and the culprit behind it. 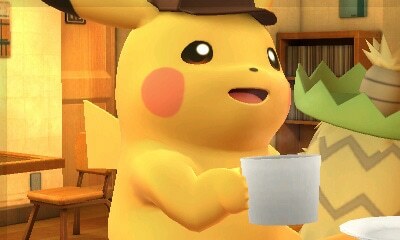 Instead, the real appeal of Detective Pikachu comes entirely from the game’s presentation. The game looks rather impressive for a 3DS title, combining high-quality character models and a significant amount of voice acting. It gives the sense of playing through an animated show and will feel right at home for those in the appropriate age range. The human characters are generally just boring exposition spouters, but the Pokémon are all charming in the usual Pokémon way. Pikachu himself steals the show, his gruff voice and endless positivity never fail to bring a smile. The developers must have realized this, as included on the bottom screen is a giant Pikachu button that, when pressed, sometimes gives the player a hint. Most of the time, however, it cycles through a list of responses for Pikachu, including his attempts to box, an action-movie roll, and numerous attempts to surprise the player. If seeing Pokémon in a more normal setting is something that piques interest, then look no further. Agree with most of the points about Detective Pikachu. The presentation and use of all the Pokémon was cool but the overall story and actual investigation parts weren’t brilliant, particularly after it stopped bothering with Pikachu’s past (I get that they wanted a sequel hook and put in plenty of clues to what was going on but meh).